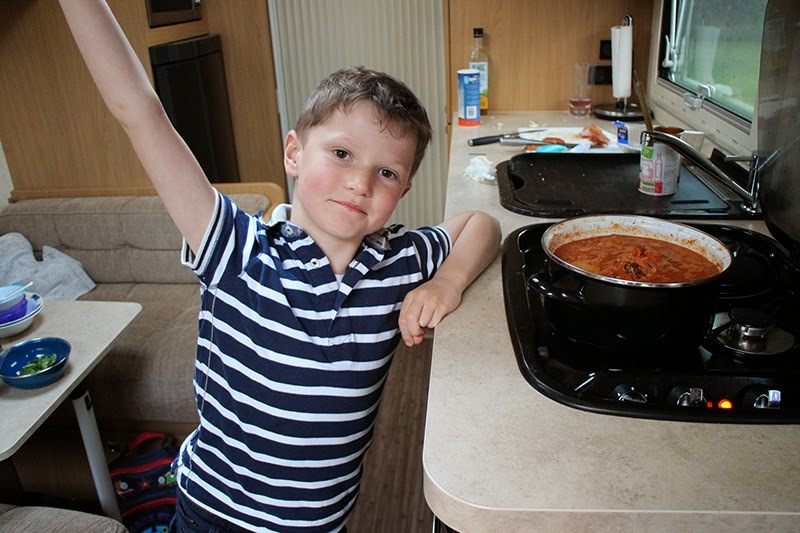 My son Max is studying Brazil at school and his homework is to research the national cuisine and cook an authentic dish at home, well in our case in the caravan. After a bit of googling we found this national dish called feijoada, which is basically a bean and sausage stew. We have taken a few sacrilegious shortcuts as we are in the van, and Max is only 7 so it needs to be easy to cook. Traditionally only dried black beans should be used where we have used tinned, and instead af raw ham hock we used a cooked one from Asda's rotisserie. 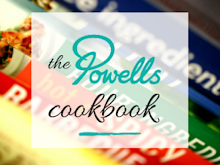 Thank you to Elise and Hank for the recipe. Its not rocket science this, basically just bung it all in a pan. 1. In a big pan heat some oil and sweat off the onions. 2. Add the diced pork to the pan and brown. 3. Add the garlic and chorizo, letting it release all that lovely paprika goodness. 4. Add the tin of tomatoes and half a tin of water. 5. Add the corned beef, carrots and bay leaves. 6. Add the cooked sausages and stuff the hock into the centre of the pan. 7. Simmer gently for about 30 minutes then season with salt and pepper and a squirt of lemon juice. 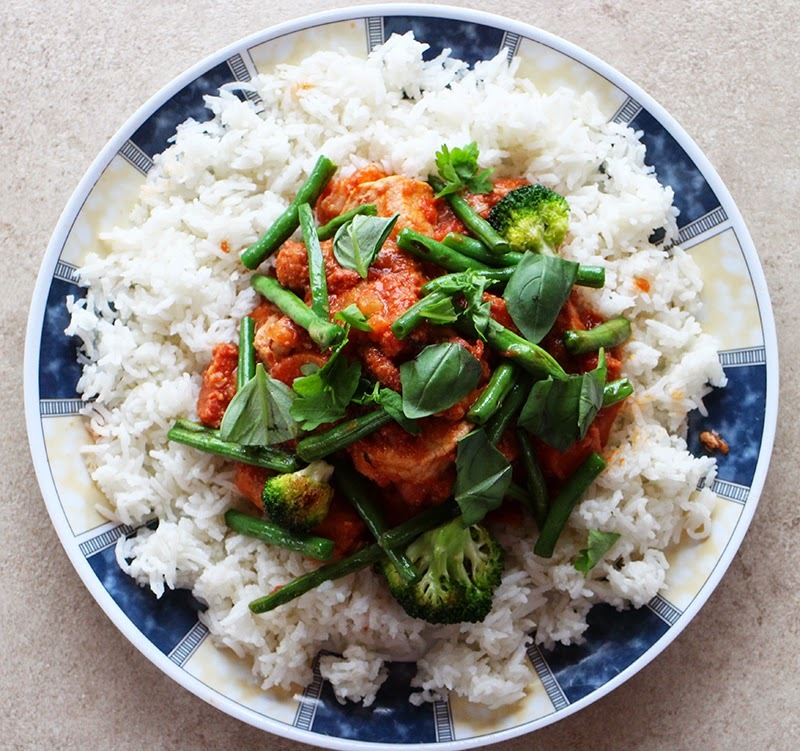 Serve with rice and any greens, we used broccoli, French beans and basil leaves.